At our Bayfront Deluxe Rooms, you’re just a step away from nature’s astounding beauty and the tranquil calm of the sea. With an astounding view of the sea, the Bayfront Deluxe rooms offer visitors a truly natural living space. Built to deliver luxury, each room is equipped with a large bathroom, consisting of double vanity basins, separate walk-in shower and an elegant bathtub. The bathroom also offers partial views of the bay and the garden. 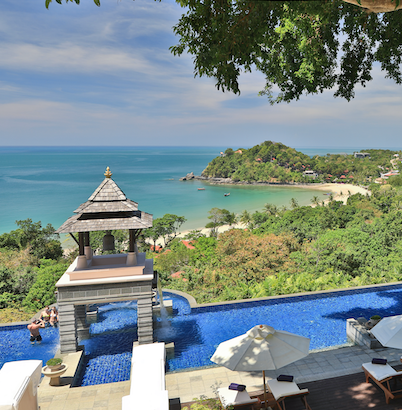 The large outdoor veranda provides you with great views of the bay and the Andaman Sea. 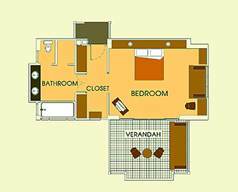 - Living space 70 SQ.M.